Benzbromarone is a uricosuric agent and non-competitive inhibitor of xanthine oxidase used in the treatment of gout, especially when allopurinol, a first-line treatment, fails or produces intolerable adverse effects. 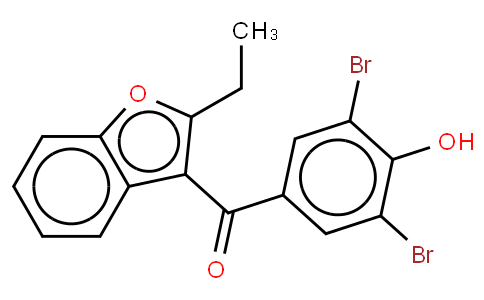 It is structurally related to the antiarrhythmic amiodarone. Benzbromarone is highly effective and well tolerated, and clinical trials as early as 1981 and as recently as April 2008 have suggested it is superior to both allopurinol, a xanthine oxidase inhibitor but not uricosuric, and probenecid, another uricosuric drug.